How to bring back a very old and already dead PC. Home › Forums › AskWoody support › Windows › Windows Vista, XP and earlier › How to bring back a very old and already dead PC. cesmart4125 2 months, 1 week ago. I have an old (ca. 1998) Toshiba Windows PC with Windows 98, of course, but it has been long dead. I think it has something to do with an internal battery that was used to keep some things ticking when it was turned off, as it has been for over a decade ago after switching to a Windows XP machine, by now also replaced with my present one running Windows 7. I need to do something with this old machine and would appreciate advice on who, or what kind of PC-care business, might be able to bring it back to life. Thanks. I am not an expert, but I wouldnt worry if the components haven’t rusted yet or if anything in the hard drive still works. Just someone who don't want Windows to mess with its computer. Any “good” computer repair shop should be able to get it at least checked, but for some potential problems you really need a data recovery specialist. One thing about the BIOS setup battery – most PCs keep the settings while powered on, so for a single run you may not need to replace that. The most likely problem spots would be 1) HDD bearings, they may have gotten stuck (though this was no longer as common in 1998 models as it was even 5 years earlier), 2) electrolytic capacitors that may have dried out (which may not be visible), and 3) HDD surface aging. What I would do, is pull the HDD (hope it’s a standard connector type like IDE/PATA or SCSI) and connect it to a newer machine so you at least get a good raw-image backup of it – in case of #3 above, you may only get one good readthrough. If it doesn’t spin up or start reading, you know you’ll need to do something else to it anyway. Surely a working second hand lappy would be cheaper than fixing a 20 year old dead one? Worst case, there’s special hardware to go with the special application. LPT dongles, anyone? Paul, I really need this one brought back to life to get something out of it, without having to take out the hard disk and give it to some expensive outfit to, basically, copy it to another disk for me. Always assuming the HD contents have not evaporated to utter uselessness already. Which would be something that can be figured out while attempting to bring the machine back to life. i have the USB-2.0 kit version from micro center i think it was 20 bucks. i can look inside the stack of HDD’s sitting in the closet. If it is a x86 based PC then it does not need to be that complicated. All PC are build like Lego you just replace the bit that is broken. With an old PC like this two things come forward right away. Your powersupply is broken or the motherboard since it does nothing when you hit the on switch. The capacitors on the circuitboards are often to blame in that case. Replacing the power supply is easy and if you have another PC around something you can test yourself. Just make sure to mark or photo all wires as to where they go. If that does nothing then it most likely is your motherboard. Replacing that might be more of an issue. Though with a Windows 98 PC you might get away with installing another second hand compatible motherboard that can handle your CPU and RAM configuration. Windows 98 might not bork out to much if it finds other North and South Bridges when it boots up. As long as it boots into Windows then you can change the device drivers. The battery on the motherboard just holds the Bios settings. If it is depleted the board reverts to the default settings and will not hold on to user settings if you turn off the power. Some motherboards have a static charge protection that might prevent the motherboard from booting up. No leds will light up it looks totally death but it might not be. Take out the bios battery without having the PC in the main power socket. Hit the on switch ten times and hold it thirty seconds on the last time. Then add a new battery reconnect the power supply and try to turn it on. A lot of laptops most known the ones from Lenovo have this kind of setup. There is no hurt in trying this since a bios battery that old needs replacing any way. Should it spring back to life then the Hard Drive in it is also ancient and in need of a replacement. These days you can buy very cheap SSD that have an Ide interface. Those work really well on old x86 machines. Use a tool like HDD Raw Copy Tool to clone the drive onto the new SSD. Thank you all for your helpful comments. Some even go a bit beyond what I need, but I am sure that others with similar ancient PC problems will also benefit, when they chance to read them too. Ah, I do have trio of points to add about the battery should you want replace it. Hopefully it has not leaked and corroded the board. Also it was less costly (more profitable?) to solder the battery to the board. Often enough many laptops have the backup battery in an inconvenient place that requires nothing less nearly complete disassembly of the computer. Although some designers used common sense considering it a user replaceable part. Good points. Being an older machine, it’s possible that the CMOS battery was soldered to the motherboard and may require replacement by a technician. This happened to me on a Windows 3.1 tower from 1994. Yes, thanks for mentioning this: the possibility that the battery has leaked after almost thirteen years without being used or replaced. It can be one of the main factors that can determine how much of a hassle reviving the PC is likely to be. Particularly if there is a spill that has been eating the motherboard, and there is a need for me (or the computer repair shop) to get a vintage motherboard from… eBay? It isn’t entirely clear what your goal is. Do you want to simply recover data files from your old laptop’s hard drive? Or do you also need to be able to run the programs which are installed on your old laptop? the possibility that the battery has leaked after almost thirteen years without being used or replaced. It can be one of the main factors that can determine how much of a hassle reviving the PC is likely to be. Particularly if there is a spill that has been eating the motherboard, and there is a need for me (or the computer repair shop) to get a vintage motherboard from… eBay? OscarCP at this point what did you do yourself to help deal with this issue? Did you grab a screwdriver and opened the case to have a look inside? Just to clear things up about what kind of computer are we talking? I am under the impression that it is a Personal Computer in either a Desktop or Tower case. Some people think you are talking about a Laptop. It matters a lot in how to proceed depending on what kind of machine it is. You said the brand is Toshiba. Does is it have a model name or number? For Toshiba brand computers there is a lot of info on the Toshiba site or the internet in general. There might even be a YouTube video where someone takes the whole thing apart. I am form The Netherlands getting second hand parts here is as easy as pie. We have a National version of eBay called Marktplaats. eBay acquired Marktplaats a few years ago. Our national holiday Kingsday is a Nation wide out pour of people that put down a carpet in front of their own home and sell used goods. Toshibas (at least in the post-MSX era) tend to be predominantly laptops but that in part may depend on market area… and laptops in general aren’t known for being easy to repair. I just had a look, and I was quite surprised at how much there is online about this particular old model of Toshiba laptop. Getting even a new motherboard might not be all that hard to do, after all. the computer is a Toshiba laptop, model Satellite 4015 CTD., ca. 1997. Thanks for the info that clears up a lot. Your Laptop is a 4015 CDT. I had a Lenovo X201 Laptop die on me three weeks ago. I bought a second hand X201 Laptop for 100 euro and swapped the Hard Drive between them. That was by far the easiest and cheapest way to get it up and running again no reinstall required. It worked just like the broken one. That also meant I now have some extra spare parts in case of another failure. Toshiba still has a Webpage for your model. Sinclair: Thanks, good idea. I have thought of doing that as a last resort, if it turns out that the repairs are too expensive or that is likely to be a long and uncertain wait for spares. But I would have to know first if the old hard disk is still OK, otherwise I would have to swap the disks back, and end up with both a dead and an extra old PC and none the wiser for all that. So the first thing must be to see if the old hard disk is OK. Also, what should one do to find out, before buying it, that the old, but still working laptop will accommodate the hard disk from the dead one? @oscarcp, for that you will want to either take a look at the inside of the two laptops in question, or else try to determine that from their respective specs pages. Modern computers come with SATA connectors for their HDD or SSD (high-end models are coming out with fancier, newer technology like M.2). Older computers are liable to come with IDE (PATA) connections. IDE connections look like this (see images at top right), while SATA connections look like this (see image at right). If you’re looking at spec sheets, scan for references to SATA or IDE/PATA drives. But I would have to know first if the old hard disk is still OK, otherwise I would have to swap the disks back, and end up with both a dead and an extra old PC and none the wiser for all that. So the first thing must be to see if the old hard disk is OK.
An anonymous poster already talked about there being adapters or docks that can read a Hard Disk. He also added a link to one with Sata connectors. You see that it also has IDE connectors but there is no talk about it in the specs. I will add another: Sharkoon is known for making Hard Disk Docks that plug into an USB port. Including 2.5” Enhanced IDE Hard Disks. Note how it says one screw removable. The Hard Disk should sit behind a little cover and is designed with removability in mind. You can check out the Hard Disk this way and I recommend that you then clone it on to another. The old existing Hard Disk will then become a backup on a book shelve. Or if all you want is the data copy that over to another PC. Also, what should one do to find out, before buying it, that the old, but still working laptop will accommodate the hard disk from the dead one? If it is another Toshiba 4015 CDT then there will be no difference between the two Laptops so it should work out just fine. Cybertooth and Sinclair: Thank you so much! Both your answers to my two questions are very clear and quite enough. This is exactly why I started this thread. I am sure your answers, and those of several others that have contributed here as well, will also be of help to others with a similar problem (expired PC) that might happen to visit here and read them. Personally I would not want to try to charge a power battery that old w/o out precautions. It is unlikely to be rechargeable, I would just remove it to try out the laptop using AC power. Just because you don't know where you are going doesn't mean any road will get you there. Why bother to try to repair this old laptop? 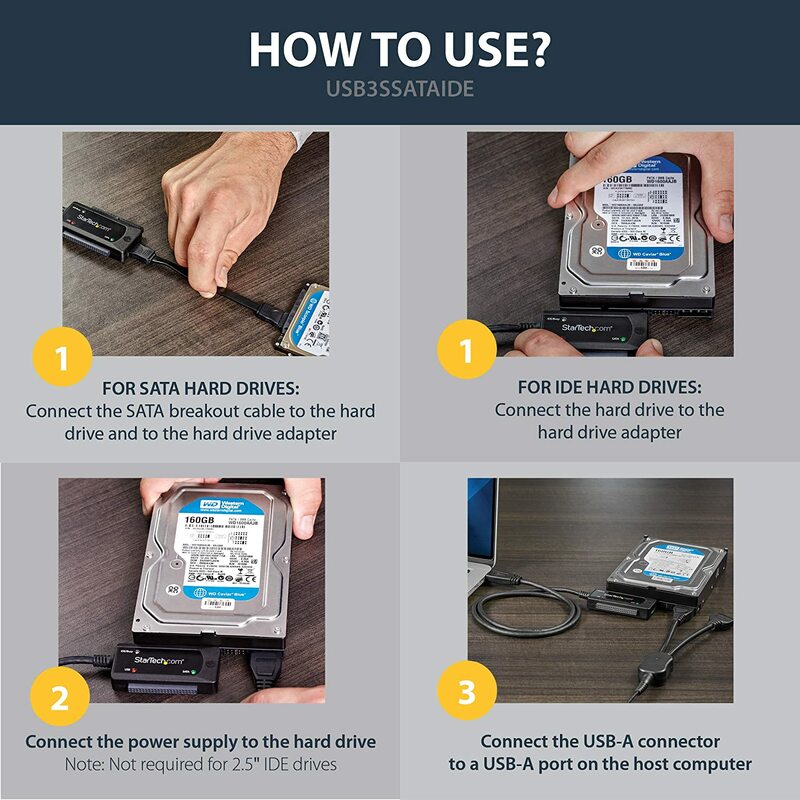 My suggestion is to pull its IDE hard drive so that you can connect it to a USB adapter which will allow you to read the contents of this old hard drive. This is one solution if all you want to do is to gain access to important data. On the other hand, if you want to run your old laptop’s hard drive as a computer, you can convert its hard drive into a virtual machine (VM) which would run under Windows 7. It literally would run as Windows 98 within a virtual machine under Windows 7. The upshot is that you get back everything — the OS, all installed programs, and all program data. It seems to me that turning your laptop’s old hard drive into a VM is your most expedient solution. No matter what and if you want to avoid paying a lot of money to a computer repair shop, you are going to have to remove the hard drive so that you can test it in order to see if it is still good. In fact, this most likely would be the very first thing which they would do, since you would have told them that you need programs and data from the laptop! Why would a repair shop proceed any further with the laptop, if the laptop’s hard drive no longer is good? The answer is that they would not. I will ask again, exactly what is your goal? I asked in a previous post, yet there was no answer. Thanks for the advice. But I now wonder: how does one connect the hard disk to another PC via USB cable? I am not sure that there is an USB port on the case of the HD. Also it might be a factor to consider that the PC is from the the days of USB 1 connections; if memory serves, in 1997 those were still mostly scuzzy times. Also, to run the HD on a VM, wouldn’t this mean connecting it to the machine running the VM, which ties up with the question in the previous paragraph? Interesting proposition, though. Especially the “not paying for it” part. Perhaps you could explain this a little more? With the laptop’s hard drive, now connected via USB to another Windows computer computer, you now can copy whatever important files you need from the laptop’s hard drive. This may be sufficient for your goals, if all you are after is being able to recover some old data files. If you also need to be able to run the programs which created those old data files, then we might have to either go down the Windows XP Mode virtual machine route on a Windows 7 computer to install those old programs, or we might have to use an actual Windows 98 virtual machine image in which you would install those old programs so that you can then run the old programs to read the old data. The upshot is that the above are potential solutions which might save you from having to spend a lot of money on repairing that old laptop computer. If all you are trying to do is to get data files off of the old laptop, then the USB to IDE hard drive adapter is the way to go. Again, a little bit more detail about exactly what your goals are would help. The VM GoneToPlaid is referring to is an ‘image’ of sorts of the old Operating System and Program Files that is a large file (or files) that would reside on any designated storage area (your new disk) . You run a program (Virtual Box would be one example) that ‘hosts’ the old O/S and runs it virtually from the rather large file as needed. You would not have to worry about the old, maybe failing hard drive once the VM file is made. On the other hand if you just want to use the old laptop for ‘something’ rather that throw it away, and it’s components are still functional you could check out installing a lite weight Linux distro on it. (2) Are the sockets for plugging a power cord and the USB adapter always part of the internal HD as well? wavy: Thanks for reminding me: back when I got my Windows 7 PC, I installed the XP VM that was an option in Windows 7, so, if necessary, maybe I can use that to read off the contents from the old hard drive. I never used it, because the display of the virtual XP was in the old, low-resolution of XP screens, so the letters in the old files look really tiny in the Win 7 laptop. So maybe it could be of some use for reading the even older Win 98 data in that old dead laptop internal hard drive; who knows? These details are going to be very useful to me and, I hope, also to anyone that has a similar problem. And GTP: what am looking for ARE NOT photos of people in compromising positions or choice erotica, but some documents with personal information I might need in the future and do not have elsewhere anymore. And anything else in there that might catch my eye. Boringly prosaic, I know, but most things in life are like that, are they not? The YouTube video which you linked to shows a much simpler USB to IDE adapter which is specifically for 2.5″ IDE hard drives, just like what is in your laptop computer. The 2.5″ IDE hard drives do not have a separate power connector. 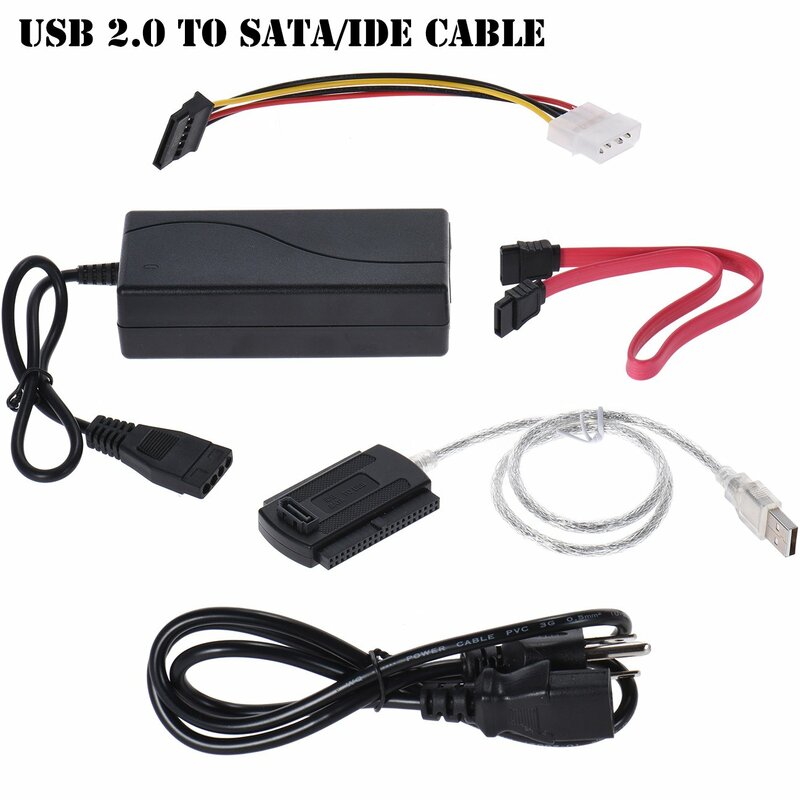 When using this type of much simpler USB to 2.5″ IDE hard drive adapter, the USB port on your computer provides both power and a data connection to the attached hard drive. Since all you are wanting to do is to recover some old documents and such from your laptop’s hard drive, the solution shown in the YouTube video is the simplest solution. If you want a more versatile solution which allows you to do the same thing also with SATA hard drives, then the type of product for which I initially provided a photo would be the way to go. Either way, the solutions are inexpensive. Have two old working PC’s, W95 and XP. Could I perhaps using portable HDD Raw Copy Tool, turn these into VM’s ? First onto a W7 64 ultimate. Have IDE and SATA external cables. How does one “get” a physical machine “into” a VM in another physical machine? I have some idea of how one builds a VM from scratch: installing first the hypervisor, then creating the VM with it, installing an OS in this VM and, finally copying, one by one, to that VM, the files in the old computer. Is that what GTP, RogerZ80 and Elly are writing about? Thanks. It can be rather tricky, depending on what virtualization software you choose to use. You might have to copy device drivers to the OS hard drive which you plan to turn into a virtual machine. Additionally, you may also have to edit the registry of the OS on the computer’s hard drive which you plan to turn into a virtual machine, before you try to turn the computer’s OS hard drive into a virtual machine. The upshot is that it is best to create a new OS virtual machine from scratch, in order to make sure that everything works correctly. Now, here is the real kicker: A virtual machine which is created using a particular brand of virtualization software will run on any computer which has that particular brand of virtualization software installed. This is rather slick. On the other hand, you could create a virtual machine, into which you would install the virtual machine’s operating system, and then install your old programs, and then copy your old data into the virtual machine. For example, you would install Windows 98 since your laptop came with Windows 98. Then you could pull your laptop’s hard drive and connect it to a USB adapter so that you could then copy all program installers and all data to the Windows 98 virtual machine’s virtual hard drive. You would then run the program installers to reinstall your old programs, and then you would have access to the data which was created by your old programs. Think of this just like reinstalling everything onto another computer, since in reality the virtual machine is just like another computer, yet in reality the virtual machine is running inside another computer’s operating system. … however, a lot of the time this is done after the original system becomes unbootable due to hardware failure or something. In that case, you pull the disk (either as an image, or in some rare cases as a direct physical disk) into the VM and then if it doesn’t boot up directly, do a “repair boot” off the install media while having the VM “driver disk” image handy. This thread has lots of good information on which software to use and how to convert to a VM. Thanks to every contributor for a most interesting discussion. Reply To: How to bring back a very old and already dead PC. Alex5723 on Bott: Win10 apps – which are worth keeping, which should you dump? mn– on Running Linux on old laptop?? Ascaris on Running Linux on old laptop?? JohnW on Running Linux on old laptop? ?